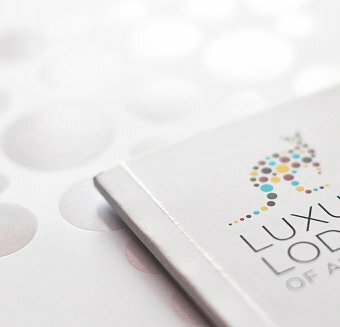 is a private guesthouse situated 100 kilometres north of Sydney on the NSW Bouddi Peninsula. 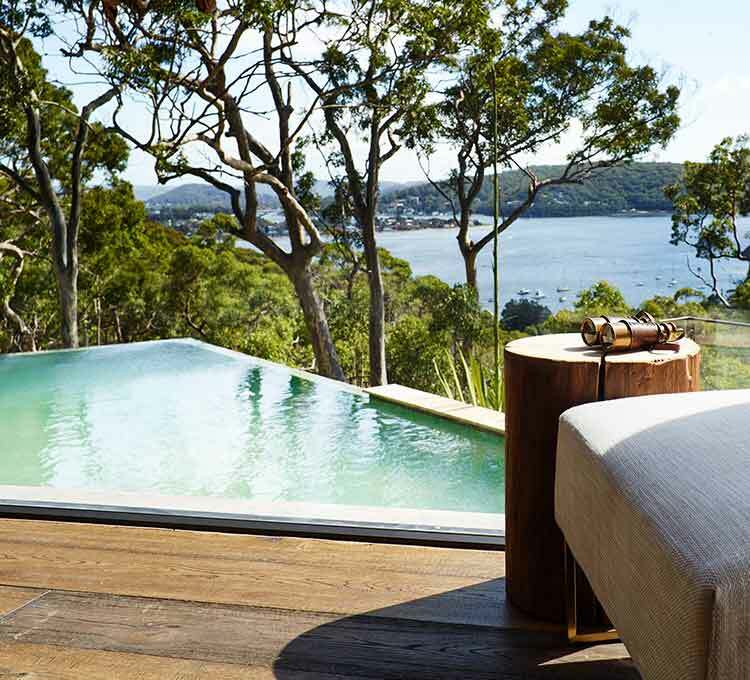 The property is set high on the escarpment above Pretty Beach and nestled into the Bouddi National Park. Approximately 1.5 hours north of Sydney and 1.5 hours south of Newcastle, the Bouddi Peninsula is the southern-most tip of the central coast region and is just across the water from Sydney's Palm Beach. All Airport and Hotel transfers can be arranged on request. Cross the Sydney Harbour Bridge and follow the signs to Chatswood until you get onto the Pacific Highway. At Wahroonga take the F3 Freeway towards Gosford & Newcastle. Take the exit signposted to Gosford / Woy Woy / Terrigal & Australian Reptile Park. At the fourth set of traffic lights (Kariong Hill) turn right into Woy Woy Road. It is well signposted. Follow Woy Woy Road for approx 12 km - you will cross over the railway line at the bottom of the hill. At end of this road (which is Rawson Road then becomes Allfield Road) turn right into Blackwall Road (at traffic lights). This becomes Memorial Avenue - turn left at the roundabout. Memorial Avenue then becomes Maitland Bay Drive, goes over the Rip Bridge and becomes Daley Avenue. Approx. 8 kms along turn right into Wards Hill Road (Liberty Petrol Station on right & signposted to Wagstaffe & Killcare). At the end of Wards Hill Road (stop sign) turn right into The Scenic Road (signposted to Hardys Bay and Wagstaffe). 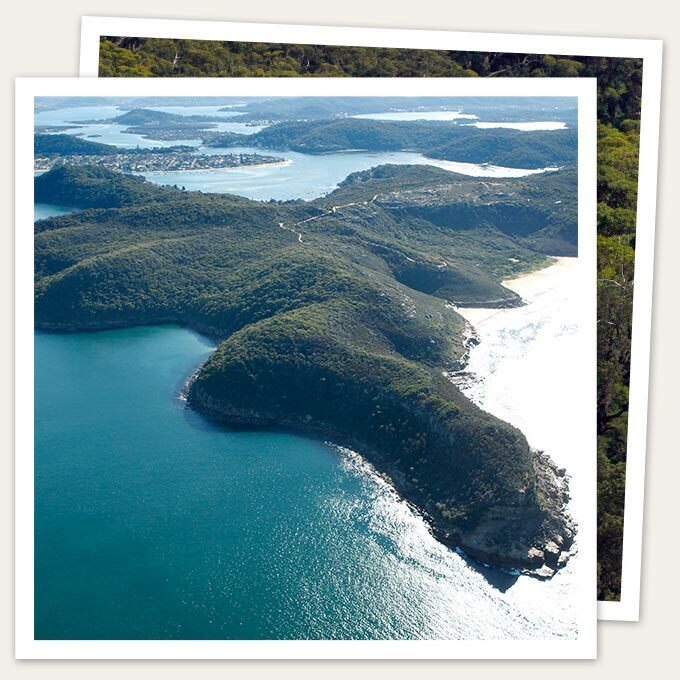 Follow The Scenic Drive as it winds its way down through the hairpin corners to Hardys Bay. The Scenic Drive changes into Nukara Avenue and then Killcare Road just before it reaches the Bay. HELICOPTER For a truly indulgent luxury getaway Pretty Beach House can arrange a helicopter transfer. Price on application. Sydney Seaplanes fly into local Booker Bay, and boat and car transfers will be arranged which add another 15 minutes to the journey. Seaplane departures are from Rose Bay, with the seaplane journey lasting approximately 30 minutes, as you head north above the spectacular Northern Beaches of Sydney. A favorite route is via the Palm Beach - Wagstaffe ferry service. Leave the car in the car park at the Palm Beach wharf. Parking at Palm Beach can be difficult, so please allow enough time to park. Palm Beach Ferries request you are on the wharf 5 minutes prior to departure time. This high speed journey travels between Palm Beach on Sydney’s Northern Beaches to Wagstaffe and Ettalong Beach on the lower Central Coast peninsula. Departing roughly every hour the journey is one of the most picturesque in the world. This journey spans across 4 waterways from Pittwater, Broken Bay, and the Entrance to the Hawkesbury River and Brisbane Waters. Passing between the heads of Barrenjoey Headland and Box Head past Lion Island, ensures that no two journeys are ever the same. One day there might be some swell and the next day a millpond. Enjoy the opportunity to see the wildlife from birds to furry penguins, turtles to seals, and dolphins to whales. Pretty Beach House can arrange your 5 minute transfer from Wagstaffe wharf.